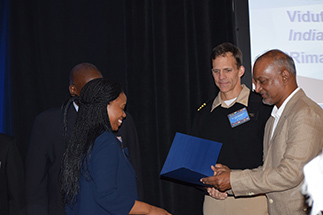 Each year, at the Epidemic Intelligence (EIS) Conference held in Atlanta, Georgia, CDC’s Workforce and Institute Development Branch partners with the Training Programs in Epidemiology and Public Health Interventions Network (TEPHINET) to co-host FETP International Nights. International Nights showcases the work FETPs are doing around the world and includes scientific poster presentations, oral presentations, and an awards ceremony. 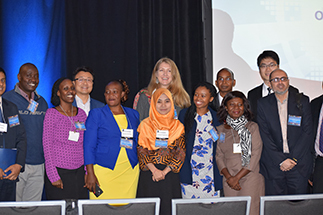 All residents and graduates of field-based training programs in applied epidemiology and public health practice from around the world are invited to submit scientific abstracts. Abstracts cover investigations or projects undertaken during training and completed within the past two years. They describe outbreak investigations, implementation and evaluation of public health programs or surveillance activities, and other areas of applied epidemiology or public health practice.